It is a refined, high performance design upgrade on the original Takacat Lite open bow inflatable catamaran designed and launched by Greg Sowden in Auckland New Zealand in 2010. Years of research and development have come together in the exciting new Takacat Lite X design offering amazing stability, performance and portability that you have come to expect from Takacat. The original Takacat open bow design providing easy on / off access from land or water is still a key integral part of the All-New Takacat Lite X. Three sizes to choose from 3m, 3.4m & 3.8m. 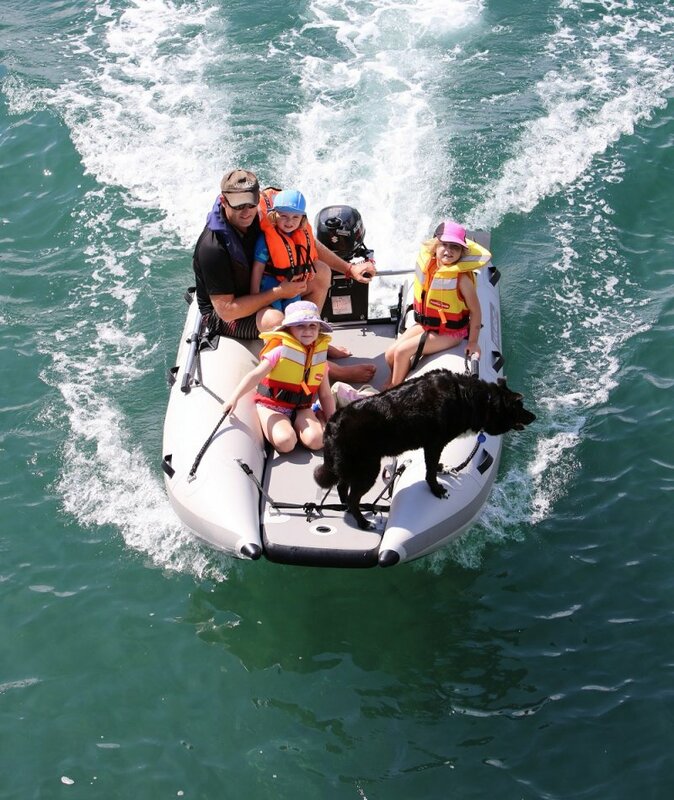 A streamlined, high performance, fun & versatile inflatable boat ideal for use as a tender or portable boat for fishing, snorkeling, swimming, exploring and on water fun! See it at the Covi SuperShow.